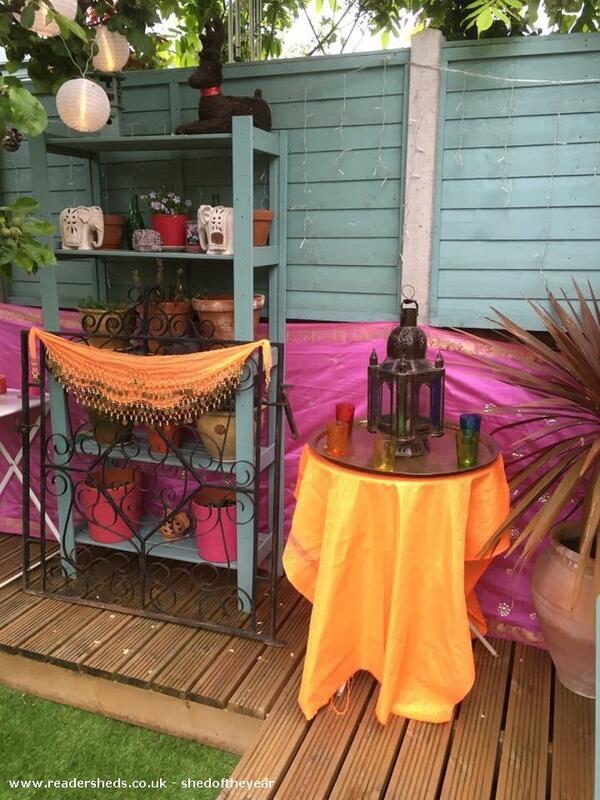 My shed has been transformed into my own little Moroccan haven/ bar/ art studio. 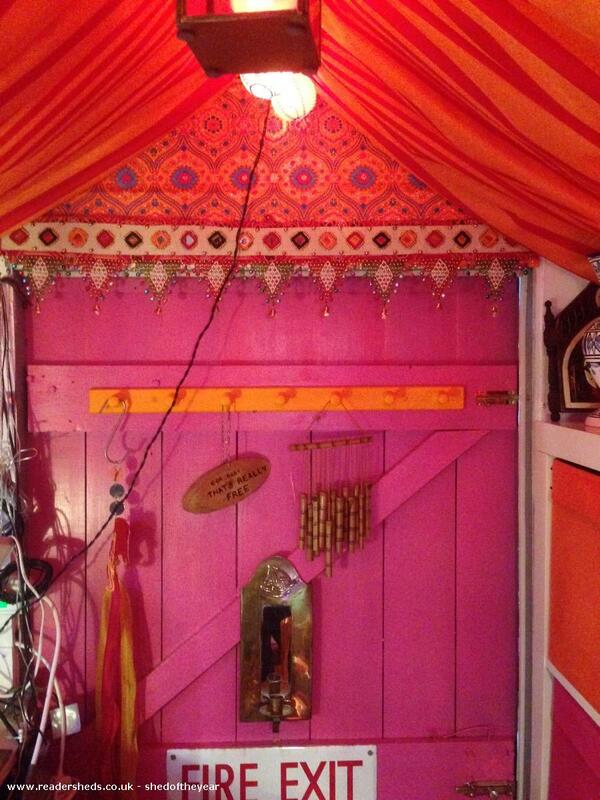 My small back garden is Moroccan themed so it made sense to make the shed Moroccan themed too. 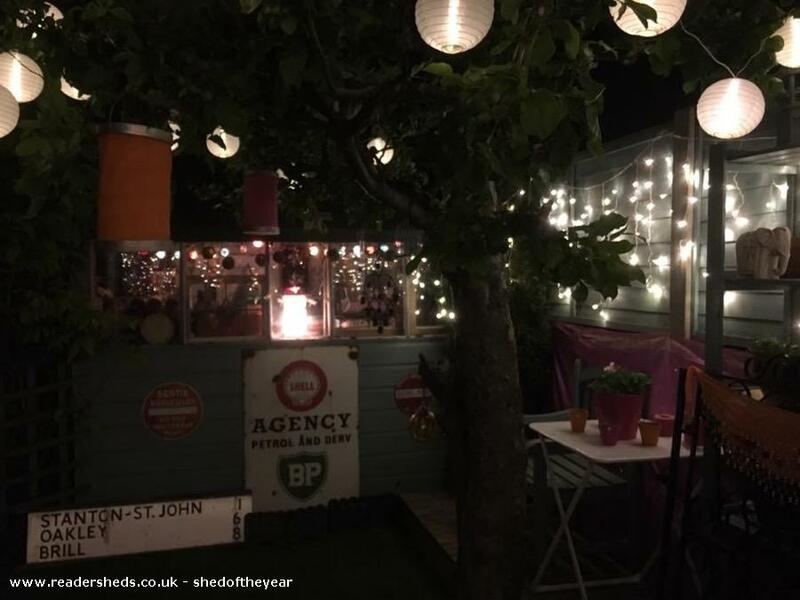 My family and I use the back garden as an outdoor room during the warmer months and we often entertain out there so the shed doubles up as a bar with music. 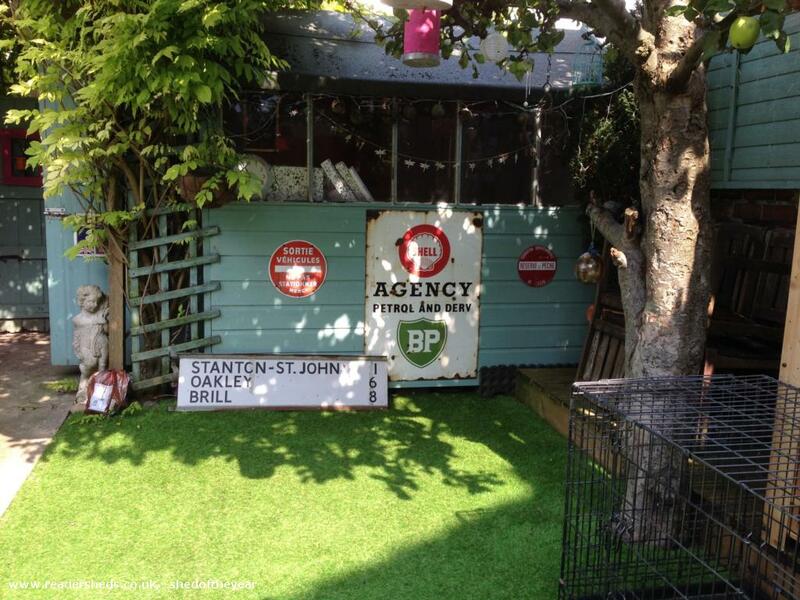 My friends and my daughters' friends love coming over for garden parties and all enjoy and admire my shed. 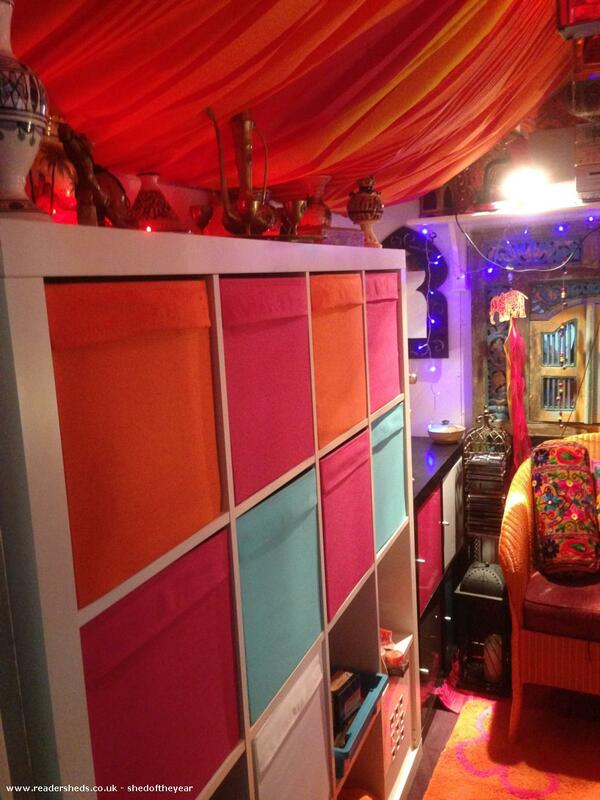 Because I store most of my art materials in the shed, I can sit in there too listening to music and be creative. A dear friend of my parents gave me the shed years ago. 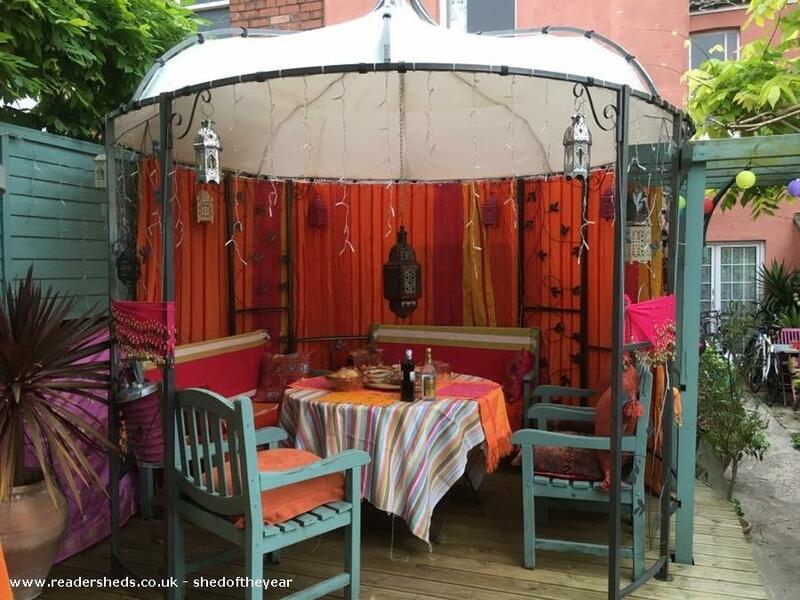 Up until Spring of last year it was a bog standard garden shed full of garden tools, garden furniture, spiders and cobwebs. I decided to use it to store most of my art materials in instead. I took on all the work myself learning basic carpentry and DIY skills along the way. The expense wasn't too great as I only had to buy foam insulation, sheets of plywood, screws, putty and secondary glazing. My dad gave me a big sheet of heavy duty pond liner to line the floor once I had repaired and strengthened the rotten parts. It's even been carpeted for extra insulation and comfort. My three daughters helped me and my youngest daughter's boyfriend when needed. 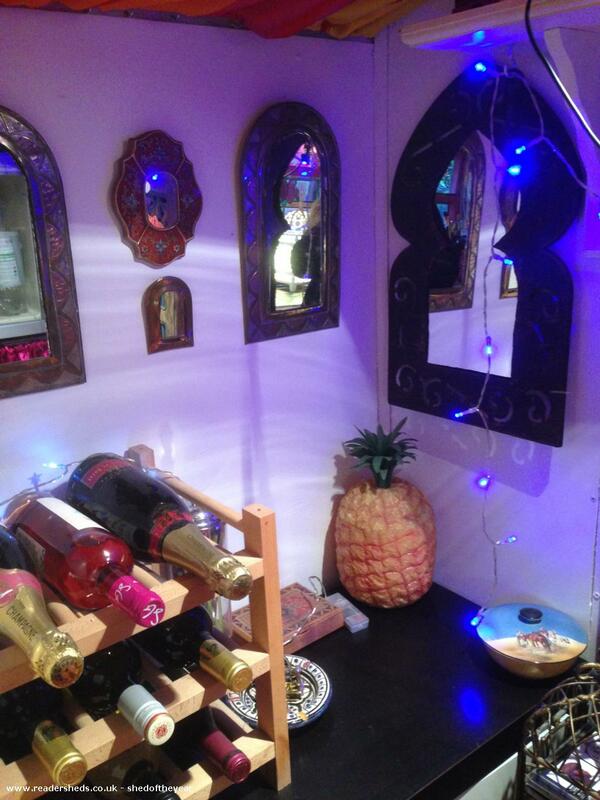 I built and tiled the worktop myself and enjoyed designing and creating the interior the most! 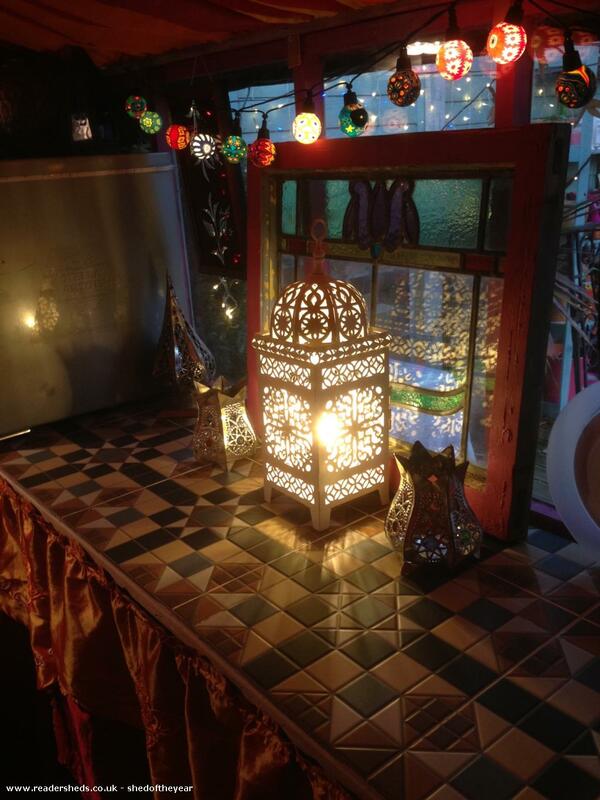 I had quite a collection of Moroccan lanterns and decor already and bought the Ikea storage units secondhand. 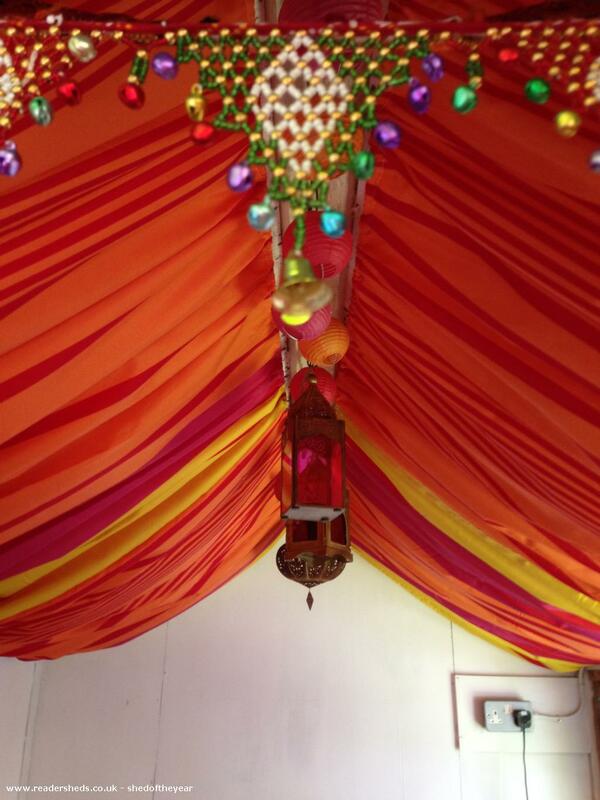 My eldest daughter and I made the tented ceiling from spare shower curtains left over from the garden gazebo. 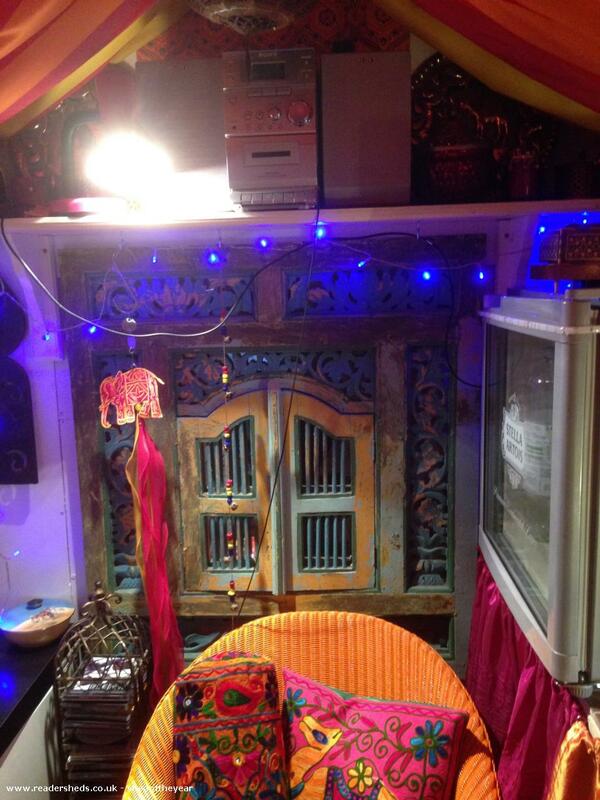 I got my electrician to add more sockets in the shed to run the fridge, stereo and many shed and garden fairy lights. 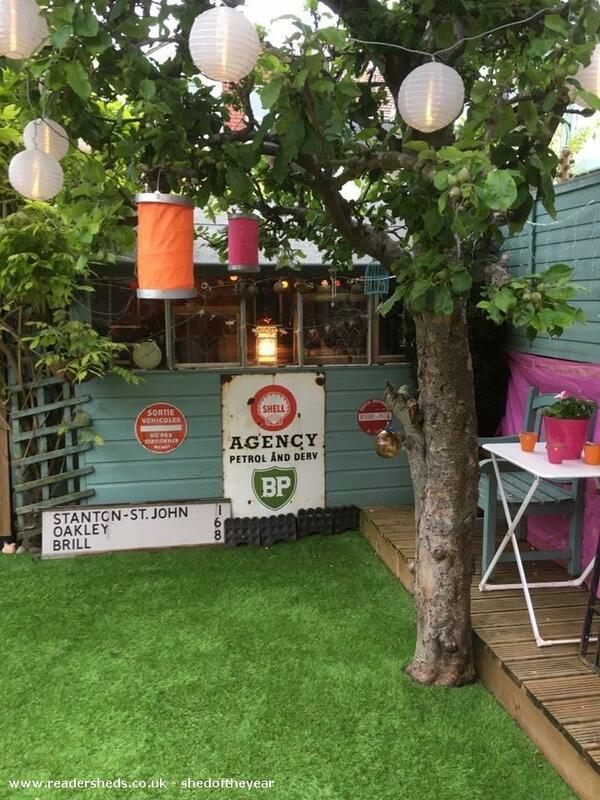 The outside of the shed is quite French looking. I go to France and Southern Spain every year and am passionate about the North African/ Arabic influences of both countries.